Please double the vegetable nutrition data. All wraps are served with lettuce and tomato unless otherwise noted. All salads are served with tomatoes, cucumbers, red onions and tricolor peppers unless otherwise noted. we tried some samples and the quality of the food is outstanding!!! A great meal that is ready in 5 minutes is what time starved customers are looking for and Jimmys Famous Meals has hit the nail right on the head. We can’t wait to get started to provide these meals to the Mount Vernon area!!!!!! I need the ability to select no veggies, add another carb option. I need a Steak meal with sweet potato &. Brown rice! Thank you. Thank you the input. It’s a great idea. We are looking into making that happen, but for now please utilize the order note section as you did for this request. Excellent meals well prepared and tasty!! Any plans for ground turkey option? Also is there a way we can select each item by oz for meat/carbs or cups for veggies? This does not clarify portion size for those of us in prep. Thanks!!! Those cooks really know what they’re doing!! The way it’s prepared is outstanding!! 5 STARS!!!!! Highly recommend these meals. Not only are they good for you, they also taste terrific! Love the fact that most of them are in the 500 calorie range. If you want to live longer you need to restrict your caloric intake – it’s that simple. You’ll extend your life and you will add quality to it. Nutrition is where it’s at and it’s obvious that Jimmy’s Famous Seafood really cares about the health of its customers, and I appreciate that! Any plans to do building your own in smaller portions for the ladies? Yes, we are working on that now. 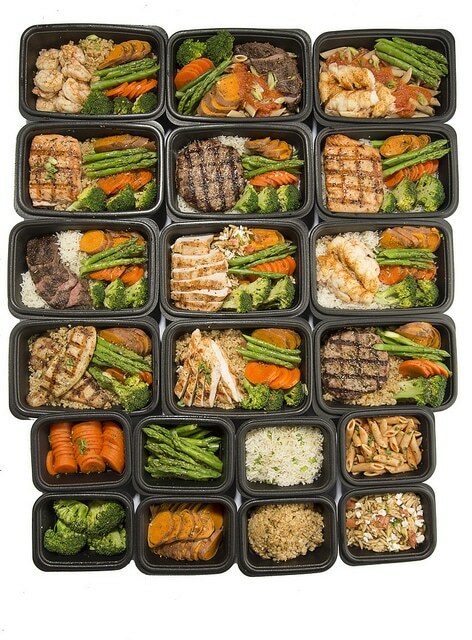 For the moment, You have the smaller portion options is our meal plans. Build your own is my favorite thing about Jimmys famous meals. There are so many different combos here, If you are a Low carb warrior, this is for you! My hands down favorite is the COD and asparagus. Best!!!! Also, the grilled turkey with the whole wheat pasta and broccoli is glorious! !